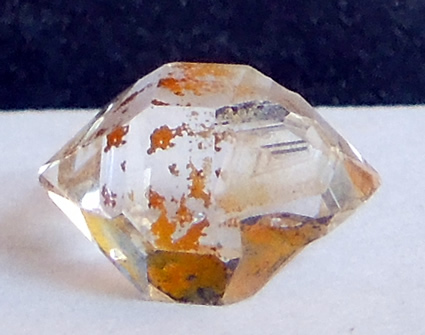 Photographs above of the larger, 9.5x7.5x5 mm, Herkimer. 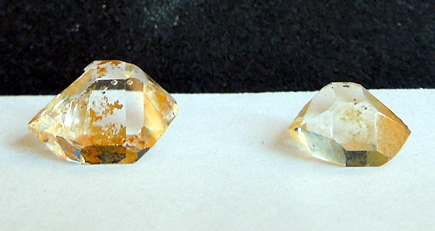 A set of 2 golden healer quartz crystals. 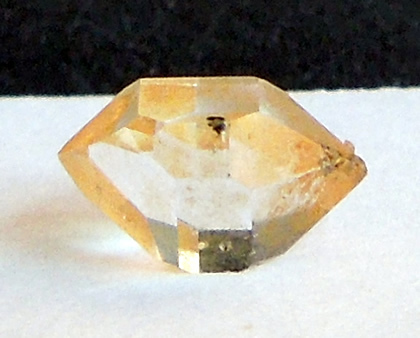 The mineral iron oxide gives quartz crystals their golden color. 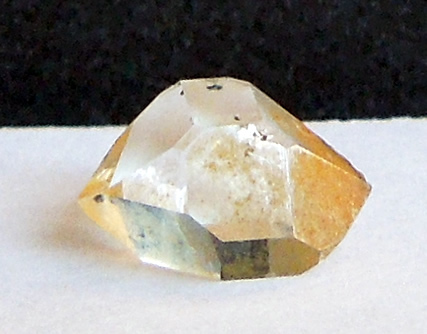 They are known in the metaphysical community as golden healers. 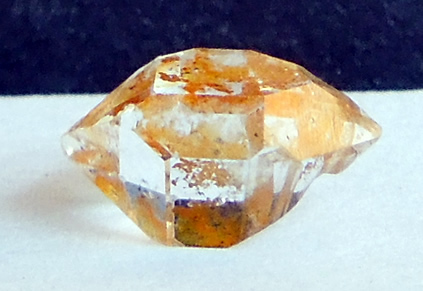 The iron can be a thin or heavy external coating. As it's name suggests, it's used healing situations, both physical and spiritual. 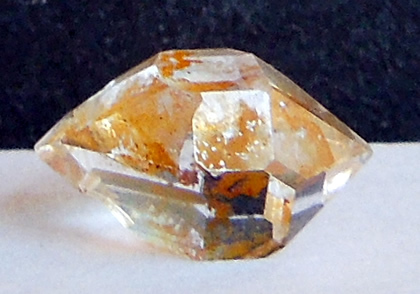 7.5x6x4 mm / .95 ct. Herkimer has a thinner coating of iron oxide and window facess. Photographs below. 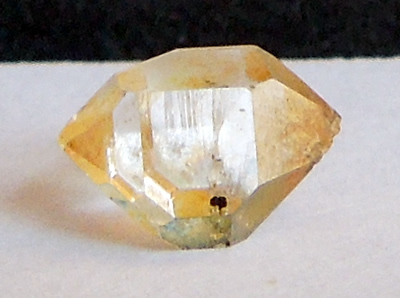 9.5x7.5x5 mm / 1.84 ct. is the larger and has a heavier coating. Keys show in the photographs above. 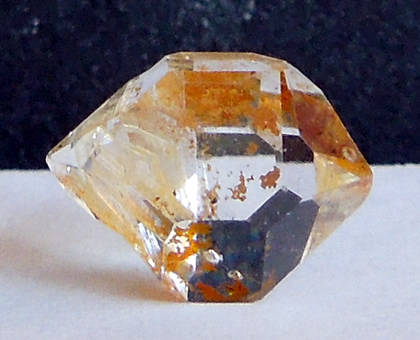 Both are water clear quartz crystals beneath the coating. 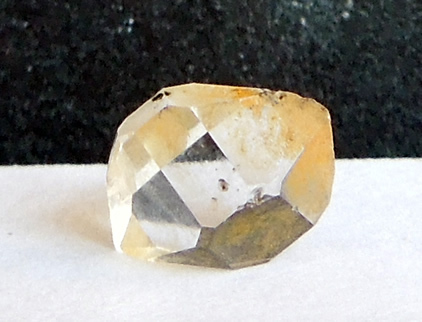 As A grade Herkimers they have double termination points and 18 natural facets. Minimal growth occurrences present. The perfect sizes for amulet or medicine pouches. One golden healer for you and another to gift ! 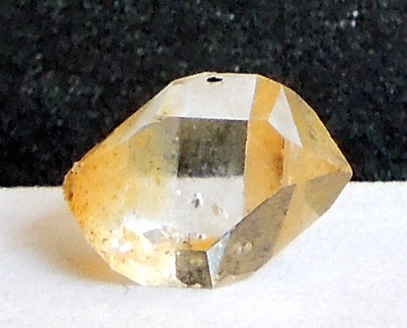 Photographs below of the smaller 7.5x6x4 mm Herkimer.